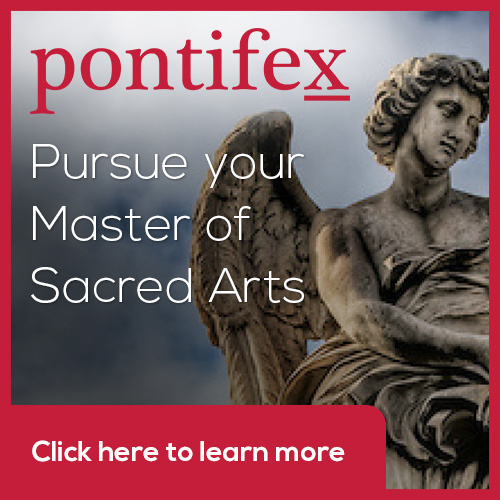 Learn the Academic Method and Earn College Credit Whatever your preferred style of art, I always feel, if you are an artist who seeks to create beautiful work you must learn to draw. Drawing is the core discipline, the musical scale, of visual art and if an artist cannot draw then any correspondence of his art to his original idea is just a rare and lucky accident. I am approached all the time by people who wish to learn to paint icons and usually my first piece of advice is to learn to draw as well as studying the tradition you are interested in. The best training I know is the academic method which is a systematic method of training hand and eye that was developed by Masters such as Leonardo and Michelangelo. I did a summer school in Florence in this style and in just two weeks my drawing ability improved by orders of magnitude (and I thought I was pretty good at art before I went!). 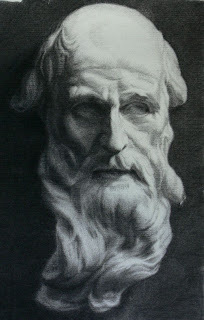 You will produce a drawing of a cast in charcoal - I did the cast drawing you see left at the same atelier in my first month of full-time study there. My icon painting teacher encouraged me to go and as a result the quality of my icon painting improved dramatically as well. If you don't like what I do now, all I can say is that you would have hated what I used to do before I studied in Florence! Thomas More College of Liberal Arts has teamed up with the internationally known Ingbretson Studios, based in Manchester, NH to offer summer school. As well as the art instruction there is a program of lectures and museum visits that focus on an deeper understanding of the Western naturalistic tradition. At the end of the two week course I will give talks that place this in the context of a Catholic worldview. 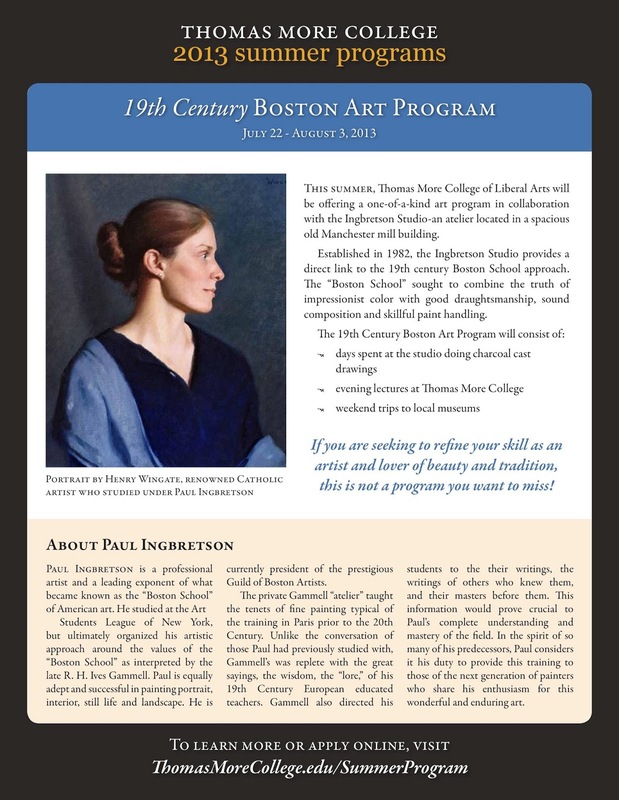 Ingbretson Studios is run by Paul Ingbretson, who is one of the leading exponents of the academic style of painting around today and a Master of the Boston School (the father of the Boston School is the great American artist John Singer Sargent). One of his star former pupils is Henry Wingate, who residents of Front Royal, Virginia will know well and whose work I have featured in the past (it is his portrait that is in the poster below; I have also posted his Sacred Heart). 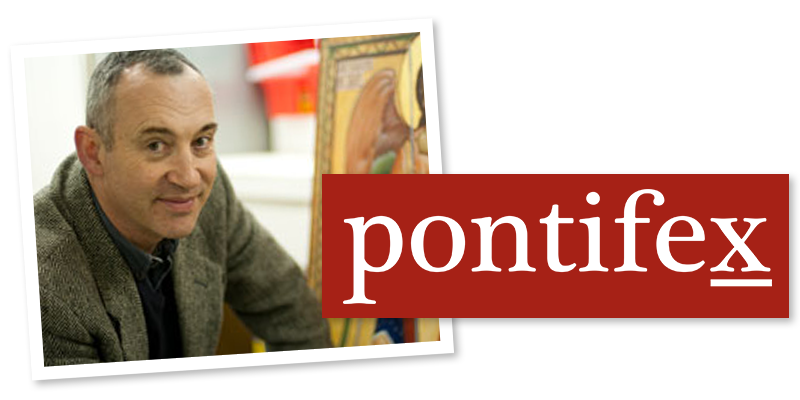 Within 15 minutes of the TMC campus, Paul's workshop has become a little epicentre of Catholic naturalistic artists. I know of four serious students at least who have begun long term study there as a result of recommendations from myself or Henry. Thomas More College students also go there for a weekly evening class during the semester. For information on the summer school, go to the Thomas More College website here. For insight into what Masters in this style can produce today look at the work of Henry Wingate, here (I have also posted his Sacred Heart below); or one of my teachers in Florence at the Cecil Studios Matt Collins, who comes out of the same Boston line. 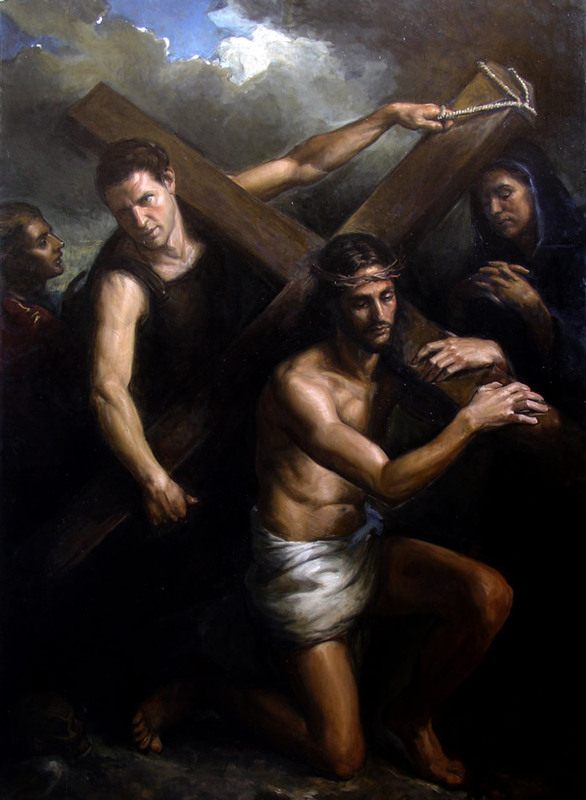 His Christ Carrying the Cross is below.